Secretary of Housing and Urban Development Ben Carson, seen here in February, spoke before the House and Senate appropriations committees Wednesday. 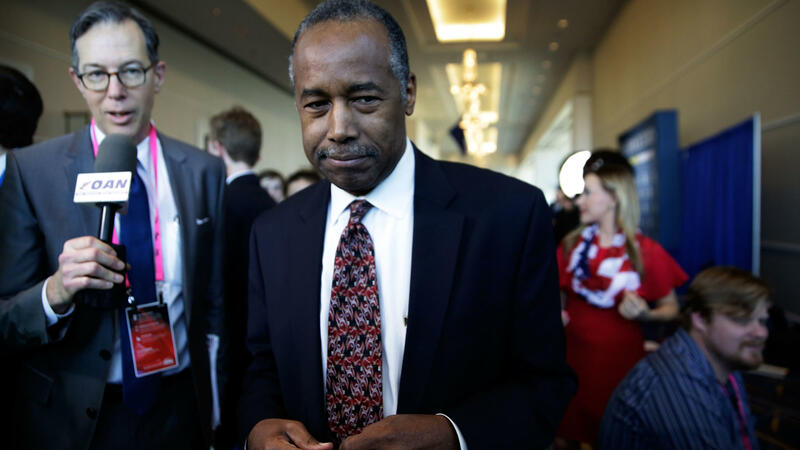 Lawmakers told Housing and Urban Development Secretary Ben Carson Wednesday that there's little chance Congress will accept the Trump administration's plan to make deep cuts in housing and development programs. The president's 2020 budget calls for eliminating the Community Development Block Grant program, the public housing capital fund and the HOME grant program for more affordable housing, for a one-year savings of more than $7 billion. But these programs are popular among lawmakers, especially local officials who say they desperately need money to help their low-income communities. House Appropriations Committee Chairwoman Nita Lowey of New York noted that the administration's new housing budget echoed last year's proposal, which was rejected by Congress on a bipartisan basis. "This year, your proposal contains even deeper cuts and would greatly reduce public housing and end most community development block grants. It would lead to more people struggling to find affordable housing and more people falling into homelessness," she said. The ranking Republican on the HUD appropriations subcommittee, Rep. Mario Diaz-Balart of Florida, warned Carson, "Just like last year, we're unlikely to agree on a lot of the things you've put forward." Maine Republican Susan Collins, who chairs the Senate panel that oversees HUD spending, told Carson later in the day that she was "deeply troubled" by many of the administration's proposals. "Low-income households face an affordable housing shortage across the country, and in many locations that shortage is reaching crisis levels," she said. Carson did little to push back but said the administration wants to provide safe, decent and affordable housing "while being good stewards of taxpayer dollars." He added that recently enacted tax breaks to encourage investment in almost 9,000 economically distressed communities — called Opportunity Zones — would take the place of some of the proposed cuts. "All the things that all of these programs that we've had in place for many years are doing, the Opportunity Zones will do in spades, like it's on steroids," he told the House panel. The administration estimates that Opportunity Zones will attract over $100 billion in private investment and create jobs, although some analysts have questioned how much low-income residents will be helped. House lawmakers also asked Carson about the status of disaster aid for Puerto Rico and other areas of the country that have suffered devastating damage due to hurricanes, floods and fire. HUD is in the process of providing these communities with billions of dollars to help them rebuild. Subcommittee Chairman David Price of North Carolina asked Carson about reports that the White House has blocked aid for Puerto Rico because President Trump has made no secret of his dissatisfaction with the island government and how it is using the money. On Monday, Trump tweeted that Puerto Rico "can't do anything right, the place is a mess — nothing works." HUD's inspector general's office announced last week that it would look into allegations that the White House has interfered with distribution of the aid, which was approved by Congress. "To your knowledge did you or anyone else at HUD have conversations with the president or with the White House or other senior administration officials about delaying or diverting disaster funding for Puerto Rico?" asked Price. Carson replied, "No, but we have had conversations about how to make sure that the money gets there and that it is used in an appropriate way." He said $1.5 billion has already been sent to the island and that an agreement for an additional $8.2 billion has been approved. Carson called reports that the administration is trying to block or slow down the disaster aid "completely inaccurate as far as HUD funding is concerned." Carbon monoxide detectors: Carson said his agency will now inspect all public housing units for carbon monoxide detectors after reports that about a dozen residents have died from carbon monoxide poisoning since 2003, including two people in South Carolina earlier this year. 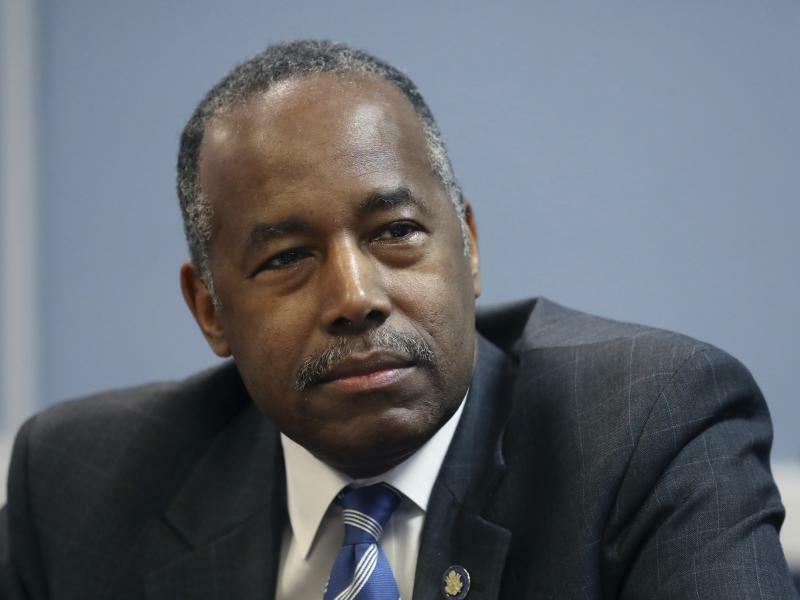 Inspection notice: Carson said HUD will give public housing authorities a 14-day notice of upcoming inspections, rather than a much longer warning period, to prevent them from covering up serious deficiencies in the buildings. Thousands of units around the country are in serious disrepair. Housing authorities blame lack of federal funding. Census count: Carson said an accurate census count is a "very high priority" for his agency, which often distributes aid on the basis of population and other demographics. When Carson told California Democratic Rep. Pete Aguilar that he was "not aware of anyone trying to curtail" a complete and accurate count, a dubious Aguilar responded, "Have you been to a Cabinet meeting?" The Trump administration has been pushing for the 2020 census to include a controversial question on citizenship status, something many groups say will discourage immigrants and others from participating in the decennial count. 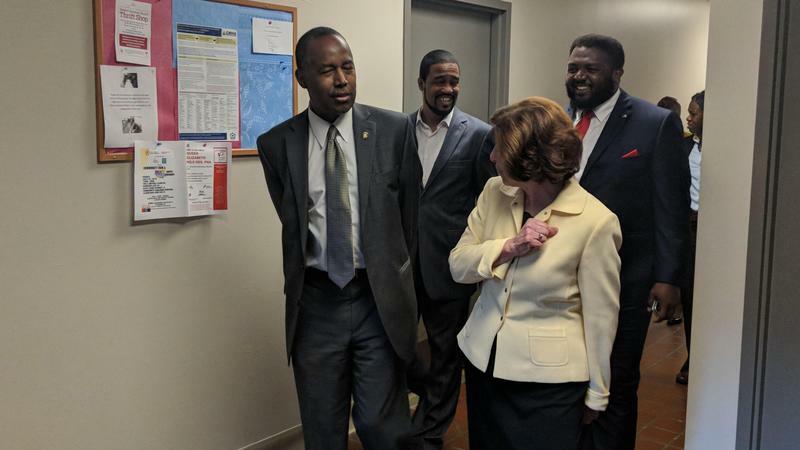 During his visit to Cleveland today, Housing and Urban Development Secretary Ben Carson toured a temporary housing center on the east side. He said his department prefers to back programs helping people support themselves. “That’s our major focus now at HUD, on the people themselves as opposed to the programs and the houses,” said Carson. Carson walked around Family Promise of Greater Cleveland where kids played in a common room while parents in the next room used computers to search for jobs. The faith-based, private non-profit receives $107,000 a year in HUD funding. Housing and Urban Development Secretary Ben Carson toured Lakeisha Terry’s home in the Milo Grogan neighborhood on Friday morning. She showed off the backyard with new sod, the garage, and her two boys’ bedroom—with wall decals of their names above their beds. This is the second of a two-part series on affordable housing in Columbus. Read part one here. On a recent Saturday morning, bleary-eyed prospective homeowners bundled in winter coats piled into a classroom at Homeport in northeast Columbus. Kerrick Jackson, who leads the course, opens with a question: How do you get downtown?